The Excalibur Estate, which comprises 187 houses and a prefab church (st Mark's on Baudwin Road) was built between 1945 and 1946 on land formerly intended as an open space amenity for the adjacent Downham Estate. Residents recall that the prefab estate was constructed by Italian and German prisoners of war. 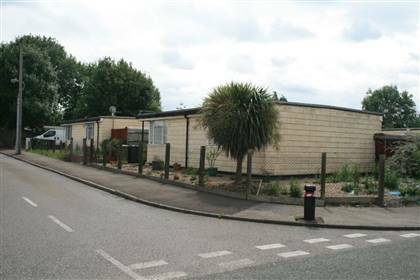 The Excalibur Estate is the largest surviving estate of prefabs in England. They were interim houses - a solution to the housing stock shortage after the end of World War Two. The Excalibur Estate contains some of the best-preserved Uni-Secos in the country. [TAGS: Lewisham; council estates; social housing; rural; country cottages; post-war housing; houses; homes] Please call us or email info@lewishamfilmoffice.co.uk to discuss your filming project.